Have you been wondering why screen overlay detected issue keeps popping up on your Samsung and other Android devices? The issue is quite common and unmistakably annoying, so here’s how to clear screen overlay detected error on any Android device. The Android operating system has come a long way, especially after Google picked up the pieces and built it into the marvel that it is today. With more features, design upgrades and millions of apps that push the hardware and software capabilities of Android, some errors are bound to arise over time. Once such issue is the screen overlay detected issue that thousands of users have complained about, and there isn’t enough information out there on it. Why does the ‘screen overlay detected’ issue occur? On Android smartphones, especially those running Android Marshmallow, a screen overlay error sometimes pops up. This error occurs when your smartphone is dealing with an application that floats on top of menus and other applications. 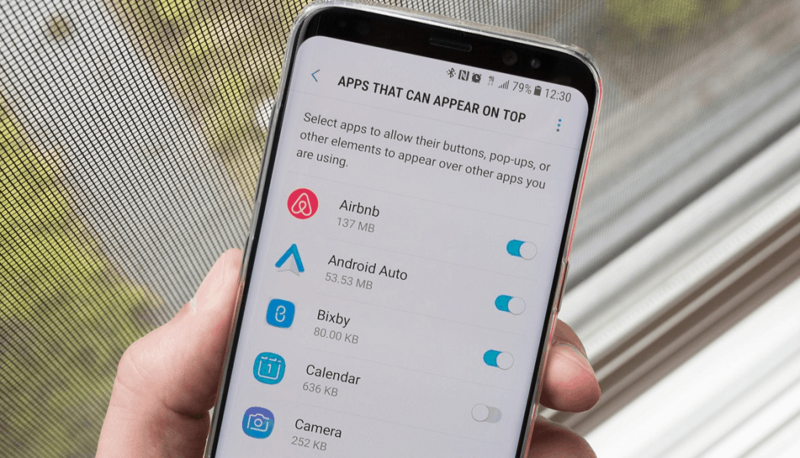 This feature is also found on the modern Nougat-powered devices under “Draw over other apps” and has also been known to give back the display overlay error. One of the popular apps that cause this problem is Facebook in which the chat heads that appear over any screen are regarded as the culprit. 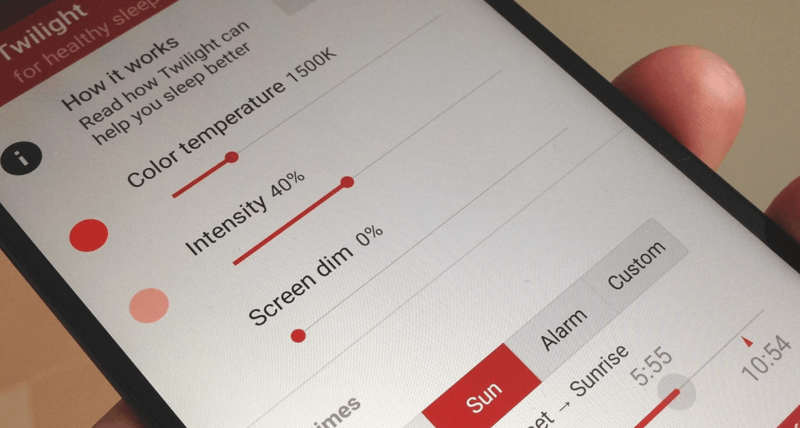 Moreover, Twilight, CleanMaster, and Lux are also other apps that cause this issue as they create a dark hue over the display, which triggers the screen overlay feature of Android devices and gives back the error. Speaking in technical terms, you get this error when a new app is launched and it requests for permissions while a screen overlay is already running. Regardless of what permission is requested, Android does not allow changing device permissions when a screen overlay is active, thus you end up with the screen overlay detected issue. Many users across the globe have reported experiencing this issue on Motorola and Samsung devices. The ‘display overlay detected’ error gets in the way of your app usage, and even causes issues with other unrelated apps. Don’t panic! This roundup will guide you to solving the issue in a matter of few minutes. 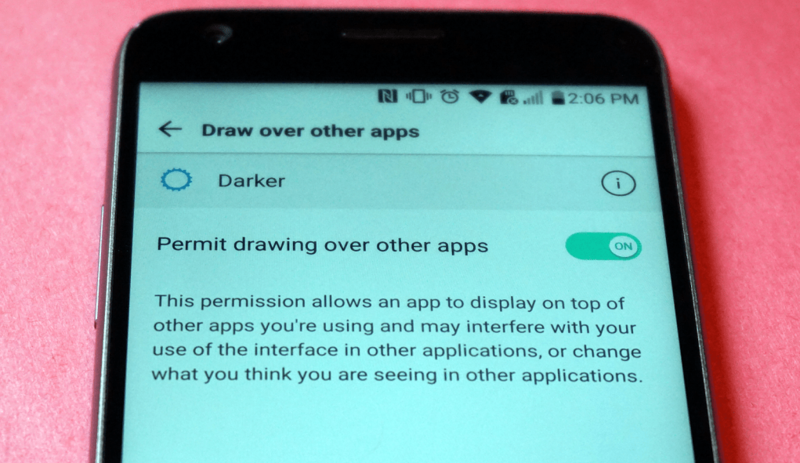 Find what application has permission to draw over your device’s screen and those are most likely to be causing the error to pop up. For instance, if you have apps like MaskChat, Pixbars, and Twilight installed on your device, these services could be unknowingly interfering with the other apps. Go to the Settings app from the app drawer or using the gear icon on the notification panel. Scroll down to find the Application menu and then tap on Application manager under it. Click on the More button on the top-right corner, then Apps that can appear on top from the drop-down menu. Nevertheless, there is an alternative route to find the menu. Tap on the Apps > (gear icon) then on Draw over other apps. Head over to Settings app on your Android device using the Quick Settings or the app drawer. If you can’t find the option by yourself, tap on the magnifying glass found at the top right corner of the screen to do so. Then enter the search term draw, and you will find results to your query highlighted below the search bar. Once again, head over to the Settings app on your LG Android device by either using the gear icon on the Quick Settings panel or directly from the app. Scroll down to find the Apps tab in the Settings menu and open it to find a list of all the apps that are currently installed on your device. Press the three-dot menu button on the top-right corner of the Apps menu, and select Configure apps from the drop-down menu that appears. Regardless of your Android device model and make, every device running Android 6.0 Marshmallow and newer will include Draw over other apps option. Once you have navigated your way to this menu, it is time to move on to Step 2 and see how the permissions can be disabled. You’ll find a list of applications which have permission to use screen overlays such as floating buttons. Start off by identifying the application causing the problem and deactivate its permission to draw over the screen. You can find all these apps highlighted under Draw over others apps menu, so start off by disabling them one by one. An app installed causing changing of colors on display or has the ability to adjust brightness automatically. CleanMaster can be a problem maker. In case you see this app on the list, disable it without hesitating. If an application bubbles your device’s screen (like Facebook Messenger, WhatsApp, and other instant messaging apps). If you see, be certain that the app is the cause. You can go ahead and choose to either hide the application bubble or disable the screen overlay permission to the app from the list. An overwhelming number of users have also reported that the ES File Explorer is among the reasons that cause the screen overlay error to occur. Night mode apps that change the blue filter of the display such as Twilight are often known to trigger the screen overlay detected warning. If you aren’t able to identify why a certain app has screen overlay permissions, disable it and see if it was the silent culprit causing the issue. Simply press the toggle switch next to the name and icon of the app and the screen overlay permissions for that specific app will be recalled. Once the screen overlay permissions have been restricted, go ahead and launch the app again. It is supposed to request permission without the ‘display overlay detected’ error popping up and you will be able to grant it the desired permissions without any hiccups. For Samsung owners, there is a direct keyboard setting (one-handed operation) that can cause the issue. If you aren’t a big fan of the ability to use the keyboard single-handedly, then disabling the feature shouldn’t be too big of a sacrifice. 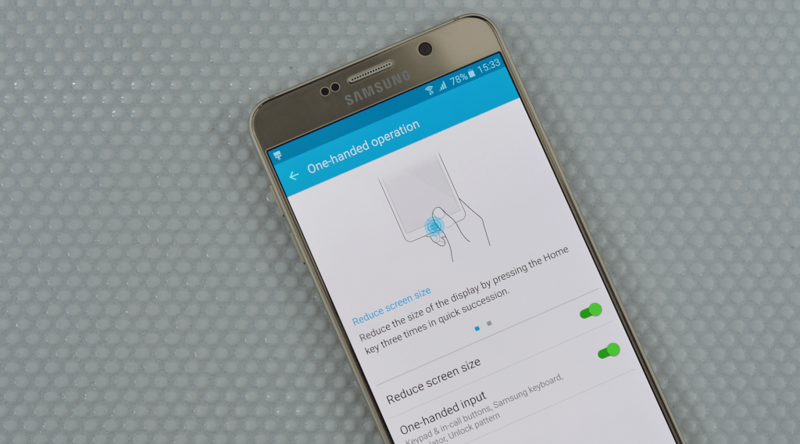 In order to solve the Samsung screen overlay detected issue, head over to Settings > Advanced features > One-handed operation and disable the feature using the toggle switch. You’re now all set to go ahead and check if the issue has been resolved by launching the app again. After disabling all the troublemakers, open the Android app that you received the screen overlay error in the first place. If the trouble-making app is having the permissions disabled, the initial apps will open the way it is intended, so you can go ahead and grant it the requested permissions and begin using it. However, screen overlay and the ability to draw over other apps is far from being obsolete. You’re probably going to want to enable the Draw over other apps feature once again for all your instant messaging and social apps. Since this feature is necessary for some of the apps like Twilight to work, you have no choice but to re-enable it. Head back over to the Settings app on your Android device and navigate your way back into the Draw over other apps menu using the instructions in Step 1. Once you’ve made sure that the initially problematic app is now working properly, press the toggle switch next to the apps that you previously disabled the screen overlay permissions for. After you have opened the app that was initially causing the error successfully, you can now open the screen overlay permitted apps up again. This is because your newly installed apps now have permission to run alongside your previously installed apps that make use of the screen overlay feature. However, re-enabling the screen overlay permissions for the culprit apps means that you could experience the screen overlay detected in the future as well. You will need to go back to the Draw over other apps menu in the Settings app and disable them again to make your newly installed app work. The entire ordeal of disabling the permissions and enabling them back again every time you encounter error may seem frustrating. While you can always choose to keep the screen overlay permission for troublesome apps disabled, we suggest the single minute it takes to disable and enable it back again is worth it. Let’s hope the developers at Android find a way around to having us enable and disable permissions every time a new app needs permissions. A majority of times you will encounter the display overlay problem when configuring a new app will be because of the apps mentioned above. However, there is a chance of your phone being “special” and hitting back the error even after you have followed the steps carefully. In most cases the final solution would be a backup and reset cycle that would get rid of app cache and temporary files that could be causing the issue. However, before you resort to the extreme measures, there is a way to hit the refresh button on all of your app permissions and preferences. Depending on your device and model, you will be able to use the advanced menu button on the top-right corner of the Apps screen to find an option called Reset app preferences. By using the Reset app preferences option, you can restore the default apps for actions performed on your device. 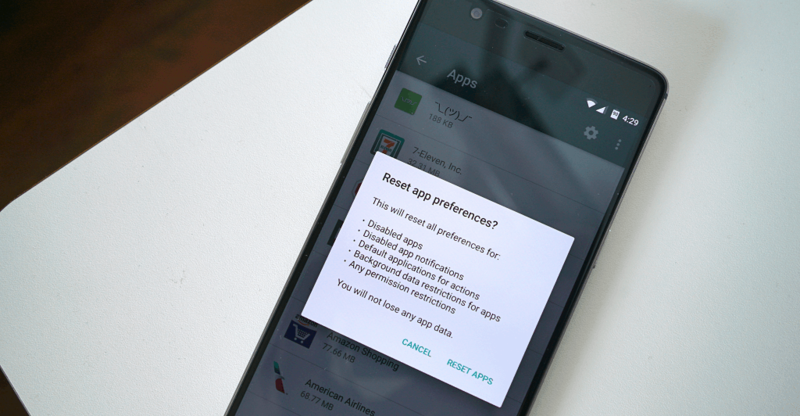 This reset option will also revert all of the permissions you have granted to third-party apps installed on your Android device. In our experience, this particular reset option is known to work just as well as a factory reset would. However, since a deep clean with data reset is far more effective in getting rid of errors and glitches, you might end up performing one on your Android device if everything else fails. This error can be detected in a matter of few minutes. After a couple of minutes, you can open your application without a problem. It is can be unfortunate to repeat the same process but once you have done it, you are free to use your smartphone’s screen without this error popping up again. However, if this entire solution to display overlay detected issues fails (which is highly unlikely), your only option may be uninstalling the miscreant app. You can always go ahead and install it back again once the issue is solved, but there’s no guarantee to if the screen overlay error wouldn’t resurface later on. Were you finally able to figure out why screen overlay detected issue keeps popping up every time you open a new app? Did this comprehensive guide help you understand and resolve the display overlay issue on your Android device for good? Don’t be shy and tell us all about it on the Updato forum and you just might help other users fix the issue too.